For a patient excited about trading glasses for the convenience of contacts, learning that contacts are not an option is very disappointing. Trying unsuccessfully to wear them is also a huge letdown. 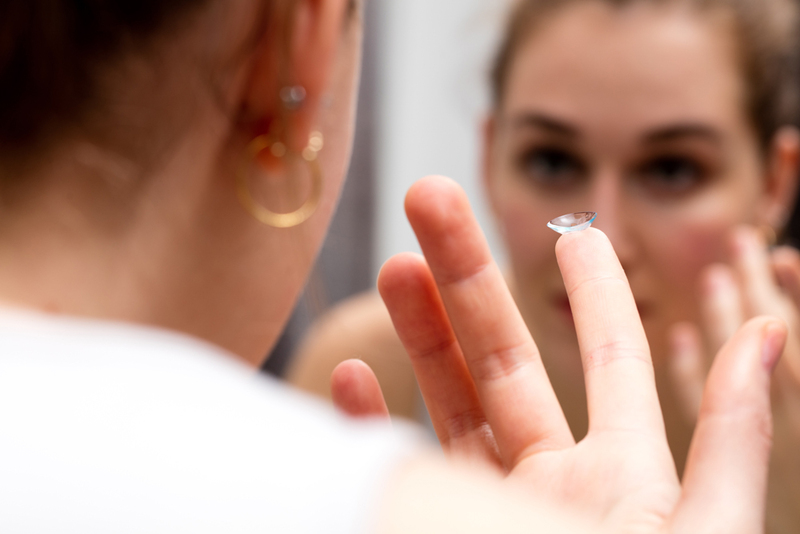 Our Providence optometrists report that for many of these individuals, scleral contact lenses could be a good option. For some patients who visit our Advanced Eye Care Associates practice in Providence, RI for a contact lens fitting, scleral contacts offer many of the advantages of gas-permeable contact lenses over features of soft contacts. Scleral contact lenses are a type of rigid gas permeable contact. Each ranges in diameter from 14 mm to more than 20 mm. These contacts take their name because of the portion of the eye they cover. In addition to completely covering the cornea as other contacts do, each lens extends into the sclera, the white part of the eye that comprises its outer wall. Full sclerals are the largest. Their design gives the most clearance between the back of each lens and the cornea. Corneo-sclerals and semi-sclerals are larger than most gas permeables. They rest near the junction of the sclera and the cornea. Mini-sclerals rise over the whole surface of the cornea and come to rest on the anterior portion of the sclera. Its large size makes it hard to accidentally dislodge a scleral contact. For many patients, comfort is similar to that of a soft lens. For some individuals, scleral contact lenses are simply more comfortable than other types of contacts. Our Advanced Eye Care Associates practice has been providing services for area patients since 1927. We offer comprehensive eye care that ranges from routine exams to treating eye diseases such as glaucoma. Our specialty contact lenses include sclerals and many other designs. Call us today at (401)-331-2020 to make an appointment for a consultation with one of our Providence optometrists.